A workshop in conjunction with ACCV 2018 in Perth, Australia. At the AMV2018 workshop we arranged two awards. The best paper, accompagnied by a best paper award prize of 1000$ sponsored by iCetana, was assigned in the following way. From the top submissions (scored by reviewers and organizers) the best 4 papers were orally presented after which the audience could cast their vote for the best overall paper. Including those votes resulted in a tie between two papers. The workshop organizers then decided to assign the best paper award of the AVM2018 workshop to the paper that, in our opinion, would have the practical use for industrial applications. 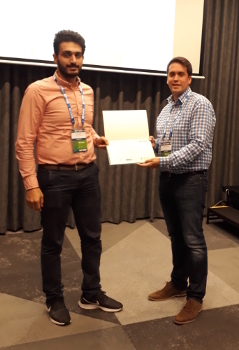 We are therefore proud to present that the best paper award went to Feras Almasri, for presenting his paper titled Multimodal Sensor Fusion In Single Thermal image Super-Resolution. The best poster award was assigned in the following way. We asked all accepted submissions to prepare a poster for the poster session. 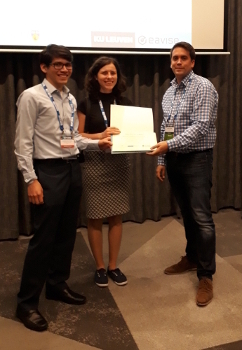 We then allowed all visitors and the organizers of the poster session to vote for the best poster, which resulted in the best post award for the paper titled Markerless Augmented Advertising for Sports Videos by Emmanuel Cuevas and Iuliana Tabian. Finally we would officially like to thank all the speakers for submitting papers to the AMV2018 workshop and all the attendees for making this workshop worth organizing. We clearly see there is a vast interested in a platform that brings together researchers and practitioners of advanced computer vision. As organizers we hope that the AMV workshop can be this platform for the following years to come.s We hope to see everyone at the AMV2019 workshop! We are proud to present the 1st International Workshop on Advanced Machine Vision for Real-life and Industrially Relevant Applications (AMV2018). This workshop is in conjunction with ACCV2018, Perth, Australia and is scheduled on Monday the 3rd of December 2018 (all-day workshop). A large variety of industrially oriented applications (e.g. quality control, pick and place) have in the past decades been successfully implemented throughout a wide range of industries. These implementations are characterized by very controlled surroundings and objects (e.g. CAD models of objects available, controlled lighting). Advanced Machine Vision refers to computer vision - based systems where such assumptions do not hold, for example, when handling biological objects as seen in the food-production industry or when operating outdoors. With recent advancements in sensing and processing power, the potential for further automation in industry based on computer vision is clearly present. Furthermore, the exploding domain of computer vision algorithms (e.g. deep learning) provides dozens of new opportunities. However, there is in general a major gap between the topics in focus at major international computer vision conferences and the actual industrial needs. More often approaches are hardly transferable into practical and robust solutions for industrial challenges. The ambition of this workshop is to close this gap, by bringing together both academics and practitioners from the field. The workshop will take place at the conference venue: The Perth Convention and Exhibition Centre (PCEC), 21 Mounts Bay Road, Perth, Australia. The workshop has a best paper award of $1000 sponsored by iCetana. On top of that there will be a special issue of the Machine Vision and Applications journal following the workshop. This special issue will be for both extended workshop papers as well as an open call. Authors are encouraged to submit high-quality, original (i.e. not been previously published or accepted for publication in substantially similar form in any peer-reviewed venue including journal, conference or workshop) research. Papers are limited to 14 pages, excluding references. The review process is double blind. Papers that are not blind, or do not use the template, or have more than 14 pages (excluding references) will be rejected without review. For details concerning the blind review we refer to the example submission paper linked above. All workshop submissions follow the policies of ACCV 2018 (found here). Authors are requested to submit their paper in a single PDF file (maximum file size 20MB). Submission of supplementary material is optional (up to 100MB). Accepted file formats for supplementary material are: PDF, PNG, JPG, GIF, ZIP, MP4, WMV, MPEG or AVI. All accepted workshop papers will be published as workshop post-proceedings in the Lecture Notes in Computer Science (LNCS) by Springer, after the actual meeting, in order to exclude no-show papers from publication. On top of that, questions and feedback raised at the workshop can be used on top of the review comments to improve the camera-ready submission. On top of that there will be a special issue of the Machine Vision and Applications journal following the workshop. This special issue will be for both extended workshop papers as well as an open call. For questions/remarks regarding the submission e-mail: amv2018workshop@gmail.com. The organizing committee would like to thank all members of the program committee for the work they invest in assuring that our AMV2018 workshop achieves a high-quality standard! Environmental informatics studies new knowledge, technologies and devices for automation in agriculture and aquaculture, early detection of pest and plant disease, automatic species identification, plant phenomics, better water resource management, land environment monitoring, costal environment monitoring, marine life surveillance, etc. 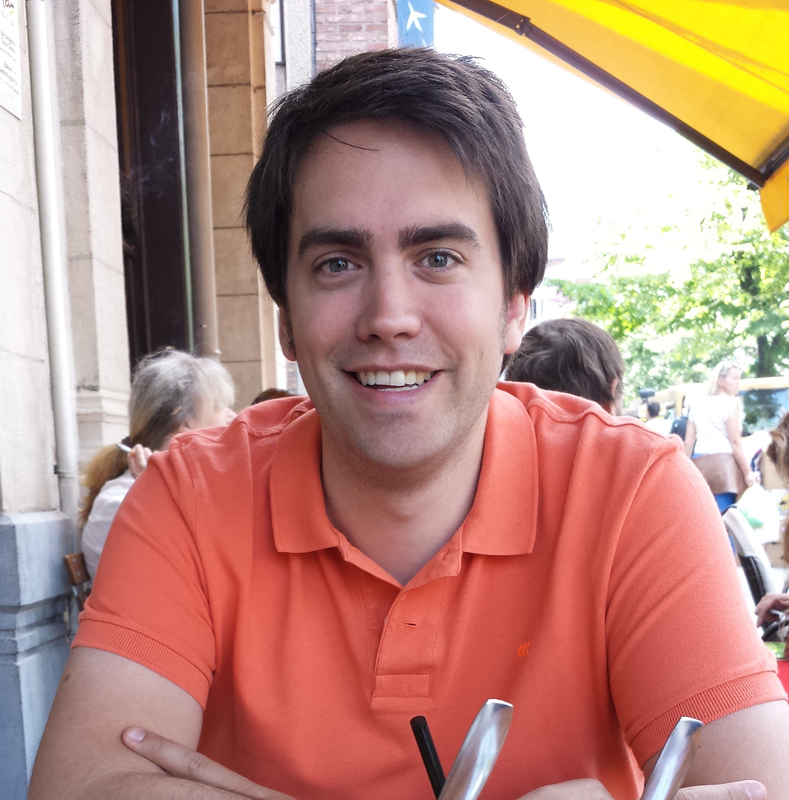 In this talk, he will introduce some of their work on automation in agriculture and aquaculture, faster grading and packing, species and cultivar identification, pest and disease recognition at Environmental Informatics @ Griffith, including recognition without detection, large image database retrieval (speed vs accuracy), and pose difference. 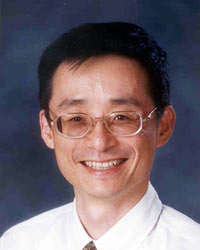 Professor Yongsheng Gao is the Director of Australian Research Council (ARC) Research Hub for Driving Farming Productivity and Disease Prevention, the founding Leader of the Environmental Informatics flagship group and the Director of Computer Vision and Image Processing Research Lab at Griffith University. He served as the project leader of Biosecurity Group, National ICT Australia (ARC Centre of Excellence) from 2009 to 2011. He is a current member of College of Experts (Panel Member), Australian Research Council. 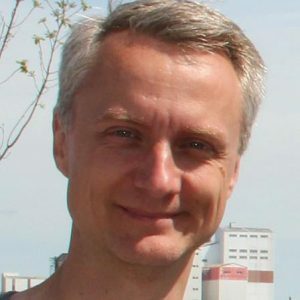 As a Chief Investigator, he has been working on projects in Australia, Singapore, Germany, and China in the areas of smart farming, biosecurity, face recognition, biometrics, image retrieval, computer vision, pattern recognition, environmental informatics, and medical imaging. He was also employed as a consultant by Panasonic Singapore Laboratories Pte Ltd working on the face recognition standard in MPEG-7. His research are reported in the media in Australia and Singapore, including The Australian, The Courier Mail, The Sydney Morning Herald, and The Straits Times (Singapore). Document Image Analysis and Recognition has served as a proven test bed for machine learning and computer vision research. Deep learning architectures like Convolutional Neural Networks and Long Short-Term Memory Networks made their mark on various document recognition problems before they got the attention of the broader research community. 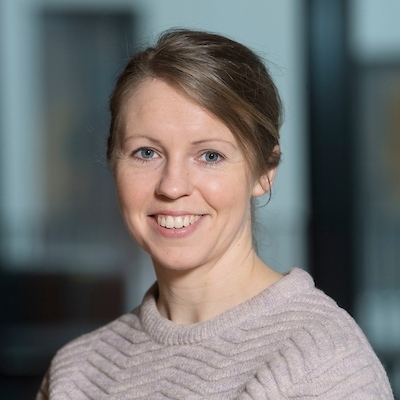 In this talk, I will present our work on reading package labels and how that evolved into PackageX, the last yard AI solution for managing incoming deliveries which is currently deployed across four continents. I will illustrate our journey that started with deep learning at its core but soon started heading towards classical pattern recognition techniques. In doing so, I will highlight various practical aspects that are often ignored in deep learning research but are crucial for deploying large scale systems in the real-world. I will conclude by providing some recommendations for design considerations when developing practical computer vision and machine learning systems. 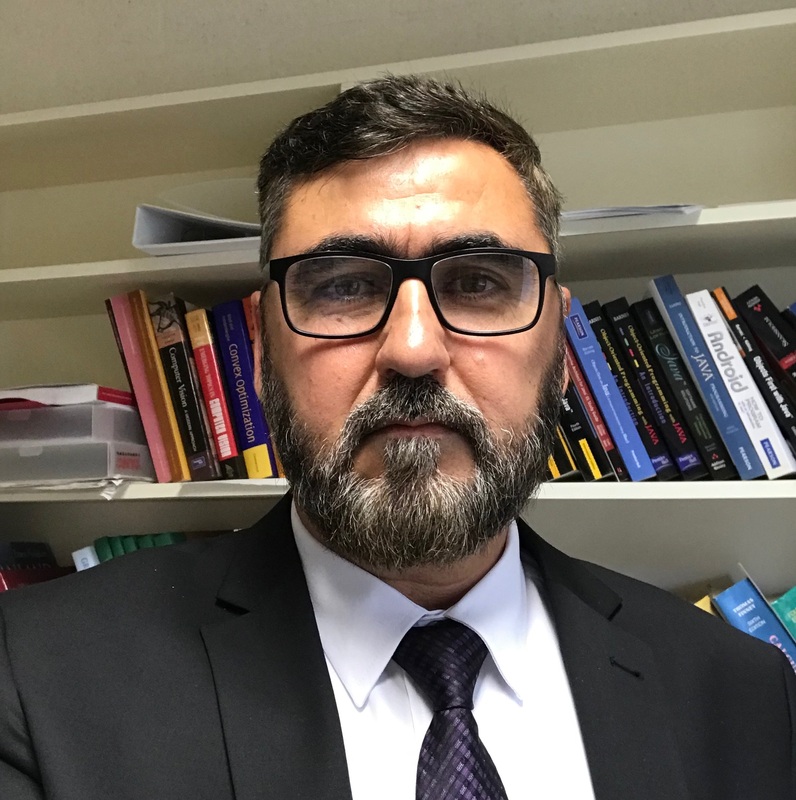 Dr. Faisal Shafait is currently working as the Director of Deep Learning Laboratory at the National Center of Artificial Intelligence, Islamabad, Pakistan as well as a Professor at School of Electrical Engineering and Computer Science, National University of Sciences and Technology (NUST), Islamabad, Pakistan. 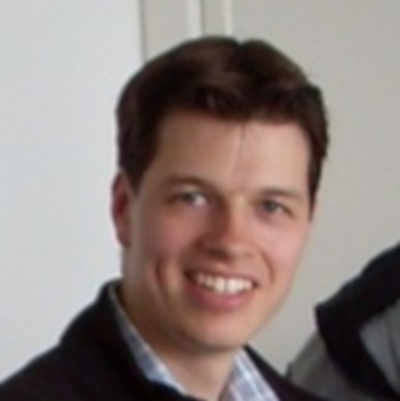 Previously, he was an Assistant Research Professor at the School of Computer Science and Software Engineering at The University of Western Australia in Perth, Australia; a Senior Researcher at the German Research Center for Artificial Intelligence (DFKI), Kaiserslautern, Germany; and a Visiting Researcher at Google Inc., Mountain View, California. He received his PhD with the highest distinction in computer engineering from TU Kaiserslautern, Germany in 2008. His research interests include machine learning and pattern recognition with a special emphasis on applications in document image analysis. He has co-authored over 150 publications in international peer-reviewed conferences and journals in this area. He is serving as the Founding President of Pakistani Pattern Recognition Society, which is IAPR’s official chapter in Pakistan. 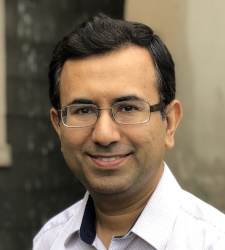 Besides academics, Faisal has also been actively involved in a number of startup and spin-off companies and is currently working as CTO of VisionX Technologies, LLC. All oral presentations will also have a poster available to foster further discussion on the topics presented. AMV2018 workshop website made with the Introduction theme for Hugo.